Fluff accessoires by artist Claudette Barjoud! 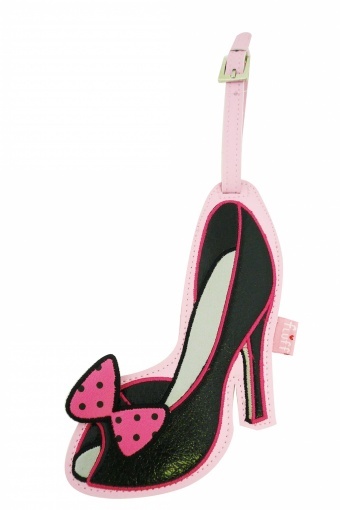 Burlesque Shoe Peeptoe Pink Polka Bow luggage tag is a really cute faux leather luggage tag with a vintage stiletto pump. The label with your personal data is visible on the backside. Gives your luggage an instant fashion-boost ;-) Must-have for shoe addicts!